Starting a landscaping business in Australia has some amazing advantages such as lower entry requirements and working on diverse projects. The landscaping industry has more than A$6,000,000,000 of revenue per year, according to IBIS, which makes this venture a hidden gem with growing statistics every year. 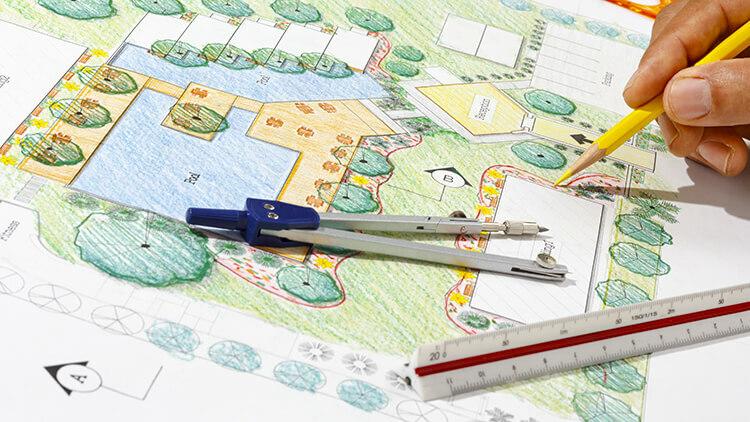 So, what do you need to start a landscaping business? From registering your company to investing in the right tools and obtaining the needed licenses, we’ve covered the needed information. Make sure you choose the proper business structure for your company, as this defines everything – from the taxes you pay to how your business grows and develops in the future. Making sure you have the proper insurance set in place can save you a lot of trouble in the days to come. From the tools to yourself and your employees, having the right coverage is a must in the landscaping industry. While landscaping and gardening have some similarities, landscaping work is more oriented towards creating and changing the current landscape and most often doesn’t include plant care. The vast landscaping work available allows for a business to either focus on a single line of work or to grow and provide various services. One of the most common landscaping jobs you can provide in Australia, lawn mowing is a science on its own. In order to provide proper lawn mowing services, you will need a quality mower and a good understanding of lawn care. Lawn maintenance includes weeding, fertilizing and pest eradication work on lawns. You don’t need a license to apply horticultural pesticides, however, the proper safety measures must be followed when working with pesticides. Structural landscaping is work that includes building non-habitable landscape structures. These can include ornamental ponds, retaining walls and fences, driveways and other ornamental features. Depending on what type of structure you’ll be constructing and the state you operate in, different licenses will be needed. On top of lawn mowing and maintenance, groundskeeping is additional service commonly performed by landscapers. Groundskeeping includes lawn mowing and weeding, but it also includes the maintenance of any existing structures, hedges or other landscape features. Big things have small beginnings, that’s why you should think with future goals in mind when you’re starting your landscaping business. Choosing and registering with the proper business structure can save you a lot of time and money in the future. Many landscaping businesses register as sole traders. This is the simplest business structure and the most popular one in Australia. However, if you’re looking forward to growing your business and hiring employees, then a limited liability company may be the go-to choice for you. Unlike sole traders, companies have better tax benefits and tax returns. This would also allow you to grow your business in the future. The minus is the higher initial cost when registering. The cost of starting a landscaping business in Australia will vary greatly based on the type of business you want to register, the tools you’ll be investing in, and whether you have a vehicle or not. The initial cost of registering a landscape business in Australia starts from around A$500, depending for how long you choose to register your business name and if you’ll register as a sole trader or a company. If you’re registering as a company it will cost you A$475. While the cost of setting up the business may be low, the initial investment in tools and vehicle differs greatly. A realistic starting price is between A$5,000 and A$10,000 in basic equipment. But depending on the services you provide and the equipment you need, the sum can surpass A$40,000. 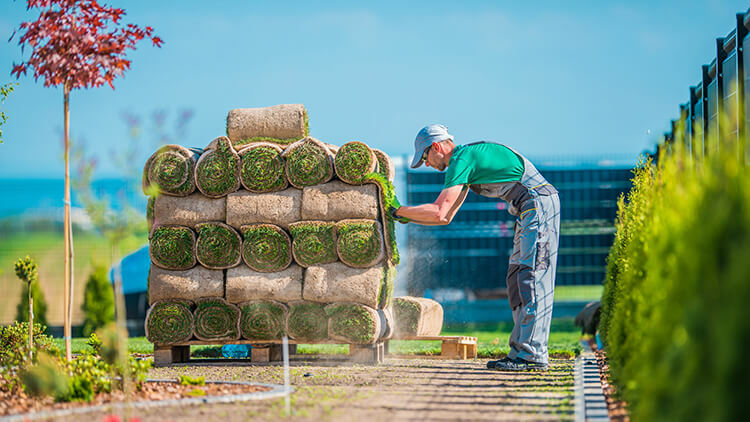 Practising as a professional landscaper in Australia requires different licenses in different states. If you’re starting a landscaping business in the territory of NSW you will need an NSW Fair Trading license for any work that costs over A$200. If you’re going to pave, erect a wall or build an outdoor non-habitable structure, a Structural Landscaping license is required. You’ll need a landscaping license if the work you’re providing is valued over A$3,300, For paving and erecting structures you’ll need a Structural Landscaping license. As a landscaping business in South Australia, you’re required to have а builders license. You will also need a Supervisors license. Landscaping in the territory of Victoria requires anyone working on projects valued more than A$10,000 to be registered with the Building Practitioners Board. As a landscaper you will also need to hold a Domestic Builder – Limited (DB – L) registration card. Doing any landscaping work in Western Australia bellow A$12,000 doesn’t require you to hold any license, however, doing a job valued more than the above-mentioned amount requires supervision by licensed builders contractors. In the Northern Territory, you will have to comply with your local council’s requirements. Some counties require you to hold a Home Improvement License for a wide variety of jobs. Talk with your local council to find out more information. Depending on the type of services that you’ll provide, you may have to spend a lot of money on tools. Every landscape business requires different equipment, but it can all be placed in two categories – specialised and basic. In your basic tools, you should include shovels, rakes, hoes, pruners, ladders, a truck, garden forks, a grass trimmer, leaf blower, hoses, buckets and a push lawn mower. While not overly expensive, the cost adds up, as there are a lot of items. Without the truck, the tools will set you back around A$3,000 including the mower and the leaf blower. A good used truck will cost you around A$7,000. For specialised landscaping tools, like ride-on lawnmowers, which are needed for big properties, aerators, lawn edgers and chainsaws expect to pay upwards of A$10,000. Ride-on mowers start from A$5,000, and you’ll also need a trailer to transport it. Some of the biggest landscaping projects may even require a front loader, however, those can be rented, and are rarely used for daily residential landscaping. Working as a landscaper requires a big initial investment in tools. On top of that accidents can happen and you want to have an insurance in instances like these. 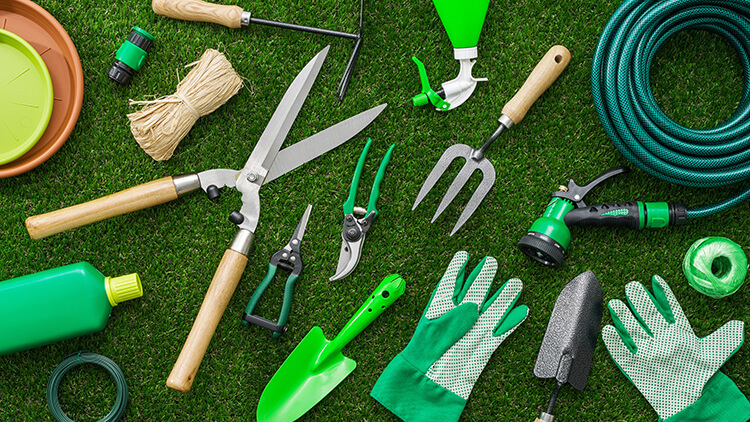 Almost all major insurance companies in Australia offer landscaping and gardener insurances. Some insurances also cover property damage, as well as product liability. Setting up a proper insurance in the starting stages of your business can prevent significant financial troubles in the future. The median Australian pay for landscapers is around A$24 per hour, however, depending on your experience and the jobs you do, it can surpass A$34 per hour. The yearly landscaper salary can reach around A$70,000, but this number heavily depends on the type of projects you’re undertaking. One of the most important aspects of working as a landscaper is figuring out how you’ll charge for your services. You can charge one of two ways – hourly rates, or by the job. Hourly rates are good for common jobs, like mowing, maintenance and weeding. It’s also easier to come up with a price – compare the charging rates of your competitors and adjust accordingly. For bigger landscaping projects like building ornamental ponds, or interior landscaping jobs you should charge by the job. Based on how much time it will take you to do it and design it, the complexity of the project, tools needed and project planning. No business is complete without a proper growth strategy. 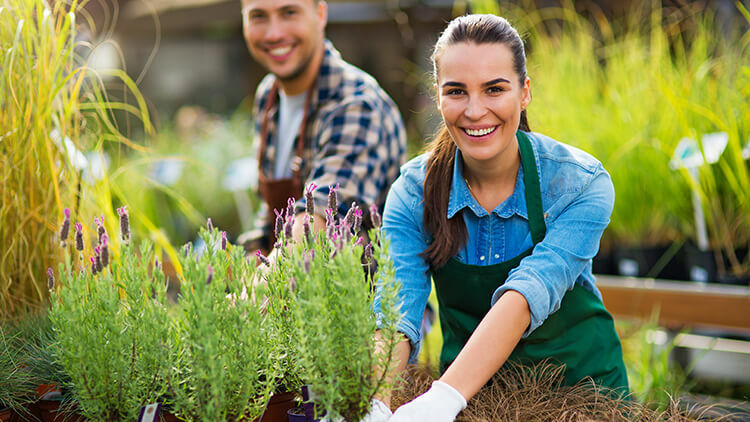 Having an understanding of the basics needed to grow a landscaping business including hiring people, managing employees, marketing and most importantly accounting will determine if you’ll have a successful landscaping venture. Important in the starting stages of your business, properly advertising your company is a must, in order to get your first client and start earning money. Getting the word out there is an important part of the process. You can use the help of social media, flyers and even make your own website. But don’t forget that the work that you do is also your best form of advertising. Word of mouth marketing can be your best marketing technique. Although it takes time initially, once people start talking about you and your services, you will start seeing a growth in bookings. Like any other industry, being a certified professional can help you with charging more for your work. Having a degree in Landscaping Architecture is a way towards you working on more complex projects, further expanding your services. More complex projects mean more money for your pocket. While most of Australia has small differences between seasons, landscaping work has it’s on and off seasons. That’s one of the hardest things small businesses have to go through. Lacking a stable cash flow means that you should adjust your services to the seasons and offer such that are relevant. This may mean raking leaves in the autumn or aerating and dethatching lawns in early spring. Running a landscape business doesn’t include doing only the landscaping jobs. You need to promote your business, find new clients, communicate with them, do your own finances and marketing. And sometimes partnering with a franchise company just might be the better choice. Though you’ll still be running your own independent business, the benefit of working under the name of a recognised brand can help with bookings, establishing quality control and overall management of the business. If you want to work in Australia, take a look at our Fantastic Gardening business opportunity. It allows you to work as a professional landscaper while we generate leads, provide customer service and manage marketing and finances. Overall – we ensure you have a sustainable number of jobs to fill out your schedule. For more information about our landscaping business opportunities, you can contact us or visit our main website. I thought it was interesting how you said in order to start a landscaping business you need to ensure that you have all of the right tools. My father has been renovating his house so that he can raise its value. It would be good for him to purchase some landscaping products to make sure his lawn is healthy. It was interesting to start a landscaping business. Very Interesting article.